🎁 Our service to you is 100% free. You’ll get maximum discount on your exact new car specification and inclusions without obligation, pressure or fees. Drive-away price, in writing. 🚘 What About Trading in? No problem. We’ll make sure you get the highest possible trade-in price for any car or cars you want to trade in on any new car. Mr, Mrs, Ms, Miss etc. I am ready to place a deposit on a new car providing pricing and all conditions meet my full approval. I am sourcing my own finance (not yet approved). I require finance to purchase a new car and am open to options. Our service is 100% FREE to use. There are no fees and no memberships. We are remunerated through commissions paid by our partners. 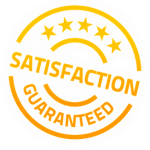 Our commitment to you: We, in collaboration with our partners, will provide you with genuine opportunity to purchase a new car (or cars) at the lowest possible price without you having to engage car dealers or negotiate. You must submit a valid quote request in order to qualify for our service, then click on the link in the email that follows. Requests that contain fake, false or incomplete names and/or phone numbers are deemed invalid and deleted. We will make reasonable attempts to contact you, however, if we are unable to engage with you after several attempts, your request will automatically become invalid at our sole discretion. anynewcar.com.au and partners reserve the right to discontinue communication without warning with any person who submits a request and subsequently becomes aggressive, acts rudely or uses vulgar language. Please understand: We go to great lengths to ensure that you have an opportunity to purchase your brand new car at the lowest possible price. In order to provide you with this unique opportunity, we will need a reasonable amount of time to secure a firm price for your specific requirement (that is a 'drive-away', complete price) that will enable you to make a well-informed buying decision. Also, know that: We do not sell cars. We simply serve qualified new car buyers by providing an easy-to-use, free new car buying service. You are in complete control. Only when you tell your consultant that you are 100% satisfied will he or she arrange the next step. Your Intentions: You are under no obligation to buy a car through our channels by requesting a quote, however, we ask that you please DO NOT request a quote unless you intend giving us a reasonable chance to assist you in completing your new car purchase via our channels. In other words, if you have no intention of giving us a reasonable opportunity to assist you in your purchase in exchange for our efforts, please do not submit a quote request. These terms are subject to change at any time without notice. Full terms and privacy statements are located in the footer of this website. Ⓒ anynewcar.com.au. 👈 Yes, I accept the Terms.